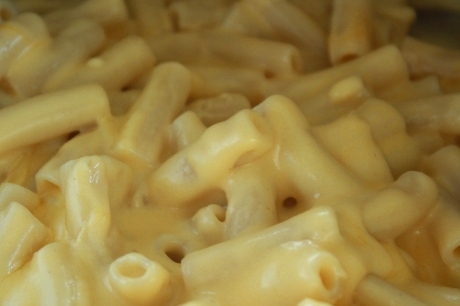 Make the cheese sauce by melting the butter or butter substitute. When butter is melted stir in flour, salt and pepper until smooth and thickened. Add the milk or milk substitute gradually, stirring constantly. Cook over medium heat, stirring constantly until thickened and bubbly. Add the cheese sauce and stir until it’s melted. Mix in the noodles and serve.